Now that various parts of our multi-model database have been cobbled together, it's time to work on benchmarking and upping the performance. If you haven’t read part one, then do that first or this won’t make sense. Well, nothing makes sense, but this especially won’t. Each time, I was creating 1,000 users, so this test shows us we can create over a million empty nodes in one second. Yeah, ChronicleMap is damn fast. But then, when I tried to create 100 relationships for each user (100,000 total), it was taking forever (about 6 seconds). So I opened up YourKit and you won’t believe what I found out next (come on, that’s some good clickbait). So wait, why is SerializableReader eating up all our time? But of course! Every time I added a relationship to the Set value in each ChronicleMap key, it has to read it, open it up, change it, and save it back down again, and I was doing this twice one for the outgoing and one for the incoming relationship. OK, so Peter suggests a Multi-Map, but what I really need is a Multi-Map that can be reversed… so, as any developer would do, I turned to StackOverflow. Yes, that sounds good, and Slavik gives us an implementation that’s almost what I needed. 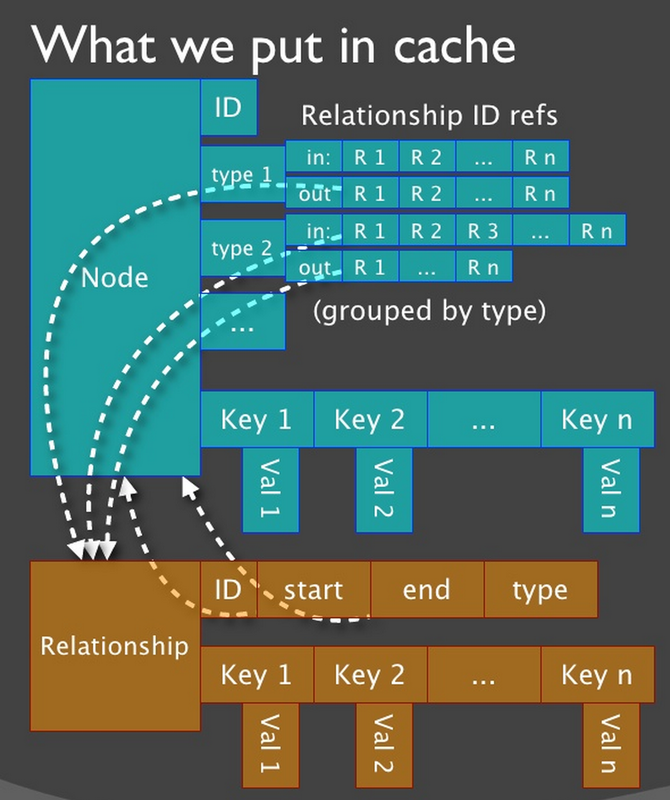 The only thing missing was not just finding a key by value, but storing the reverse of the relationship in a second MultiMap. So I tweaked it to do just that and called it a ReversibleMultiMap. So now, whenever we add or remove things from this class, it will do it twice. The normal way — from key2Value — and in reverse — from value2key. Awesome, this will make all our relationship methods much easier to write and reason about. I decided I wanted to leave the train wreck of the implementation I wrote yesterday alone and started a new repository. The ArrayListMultimap above comes from the Google Guava Library, which you’ve seen me use before on this blog. So somehow, mixing Guava and Chronicle, I ended up with GuancicleDB, but Google told me what I really wanted was GuancialeDB which is some kind of cured meat, so that’s our new name. Look at that amazing logo. You can cut it up in cubes, you can slice it, you can just eat it whole like a lion. It exemplifies the multi-model nature of our databa — OK, listen, all the good names are taken. Just ask the CockRoachDB guys. Besides, we can change the name later, it’s not like we added a stupid “4j” to the thing. Neo4j uses fixed sized records, so we know node 12 is at some offset location plus 12 * NODE_SIZE (which I think is around 16 or 17 bytes) and relationship 99 is at some offset location plus 99 * RELATIONSHIP_SIZE (which I think is around 33 or 34 bytes). This makes it easy to get from one spot to the next in O(1) without an index. We aren’t using an index, which is O(log n), we’re using a hash, so it’s somewhere between O(1) and O(log n) in the worst case. Here, we first remove the node from our “nodes” ChronicleMap. Then, for each relationship type, we get its outgoing relationships and grab their target nodes. Now we can delete any relationships that had properties from the “relationships” ChronicleMap, and then we do the reverse relationships properties, and finally remove the relationships themselves with removeAll. OK, so what about performance? Well, our create node speed is about the same, since that part hasn’t changed, but oh my, take a look at the relationships. We are now doing about 48 operations per second, where before it took us 6 seconds to do 1 operation (remember we are creating 100k relationships in each operation). That’s like almost 300 times faster write speed. How well does it perform reading? Well, how about an actual traversal, a recommendation. We are going to start with the items I like, then find other people who liked those items, and then we’re going to find things those people liked that I haven’t liked yet, count them up and return the top 10. The sparser our graph is, the faster this query returns. You can see this comparing our fastest two results, which both have 10,00 people, and 10k relationships but vary in 200/2,000 items. You can see this again in our worst two results, where the 2,000 item graph is sparser and faster. I think this is workable for now. Sorry for the first false start, but I learn more from my screw-ups than when I get it right the first time, and I hope you do, too. So stay tuned for next time, when we will put a web server in front of this thing and add an API.